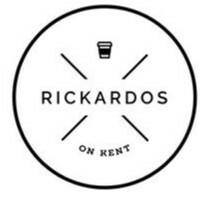 Rickardos On Kent joined our Mission to help provide access to “Clean Water for All by 2030”. This Mission was initiated by the United Nations. A big thank you to Rickardos On Kent’s team and customers for joining this extremely important mission on 01 March 2018. "A great coffee, the single origin blend is one of the smoothest I’ve had. The service was excellent. The food home made and delish. That chicken and mischroom pie is fabulous. Got a real good thing happening! Thanks Rickardos on Kent team."